TORONTO: The top commander of U.S. and coalition forces in Afghanistan says some Afghan Taliban fighters and leaders are talking to the Afghan government about peace prospects. “What you’re seeing right now is a lot of the diplomatic activity and dialogue is occurring off the stage, and it’s occurring at multiple levels,” he said. “So you see mid-level, senior-level Taliban leaders engaging with Afghans.” He added that unspecified international organizations, foreign governments and other interested parties also are involved. US officials have talked up the prospects for peace many times over the course of the 17-year war in Afghanistan, only to be disappointed. When President Donald Trump announced last August that he was committing to winning the war with a revamped strategy, he said the goal was to compel the Taliban — with help from Pakistan and other interested nations — to seek peace. 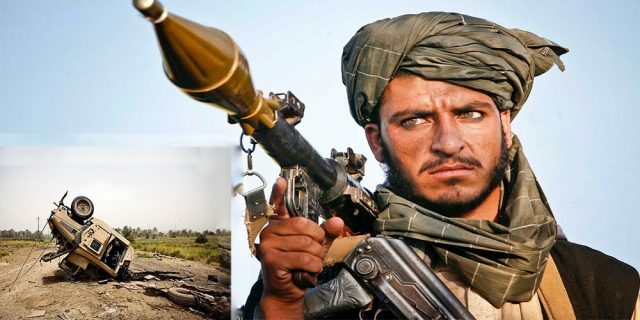 However, a US government watchdog agency recently reported that it saw few signs that this strategy was working, while acknowledging that the Afghan security forces are getting better training. Inside the Taliban, Nicholson said, there is a “robust dialogue” underway with regard to whether and how to end the war. He asserted there are “many points of intersection” between Taliban and Afghan proposals for pursuing peace. Nicholson, who has commanded US and coalition forces in Afghanistan since March 2016, is due to leave his post this summer. The Pentagon on Tuesday announced that Trump nominated Army Lt. Gen. Scott Miller to succeed Nicholson. While speaking hopefully of peace prospects, Nicholson also told reporters that US rocket artillery struck a gathering of Taliban commanders on May 24 in the Musa Qala district of Helmand province, killing “dozens.” His spokesman, Lt. Col. Martin O’Donnell, said earlier that more than 50 were killed but that an exact count has not yet been established. Nicholson said the Taliban commanders had assembled upon returning from the western province of Farah, where their fighters had attacked multiple security checkpoints and briefly taken control of the provincial city of the same name. Nicholson said 50 of these commanders had been tracked to Musa Qala and targeted by US rocket artillery. While saying the US attack had disrupted the Taliban network in Helmand province, including its drug trafficking, Nicholson stopped short of saying the killing of dozens of insurgent commanders would have a decisive impact on the war. “I would not call it strategic significance, but it definitely has a significant local significance in terms of the fight in southern Afghanistan,” he said.